Spring is getting here soon, right? Right? 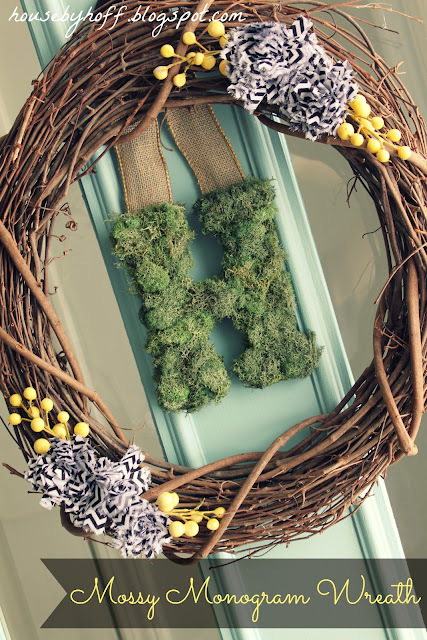 I figure if it isn’t going to act like spring around here, then I’m going to force a spring-like atmosphere with a mossy monogram wreath! That ought to make March get here faster! If that doesn’t work, well, then I don’t know what will. This is my first experience with moss. I should have probably read tutorials first, but I threw caution to the wind and just winged this DIY wreath. I have provided my own little tutorial, if you want to make one yourself! Step 2: Finish covering letter with moss. 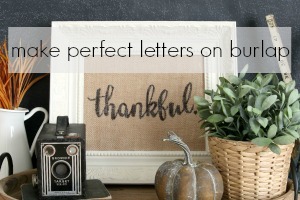 Attach burlap ribbon to letter. 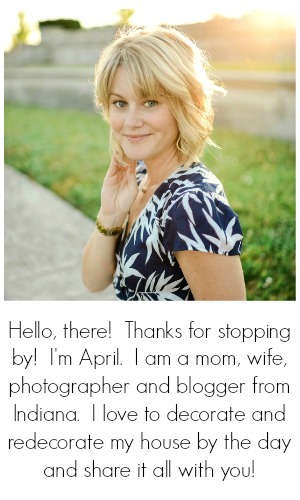 Hear baby wake up and wonder how much longer she’ll play in her crib before she gets fussy…. Step 3: Decide that baby isn’t going to cooperate much longer. Get her from crib and feed her goldfish. This will buy you at most 10 more minutes…. Step 4: Make fabric flowers. (See tutorial for flowers here.) I got this black and white chevron fabric from JoAnn. Step 6: Arrange everything on wreath. Glue gun it all together! Step 7: Give baby big hug and lots of kisses for being a good girl and letting Mommy finish her craft! I really like how this wreath turned out! To be honest, I was just pumped to get the Chirstmas wreath off of the door…yes, the Christmas wreath was still on the door. 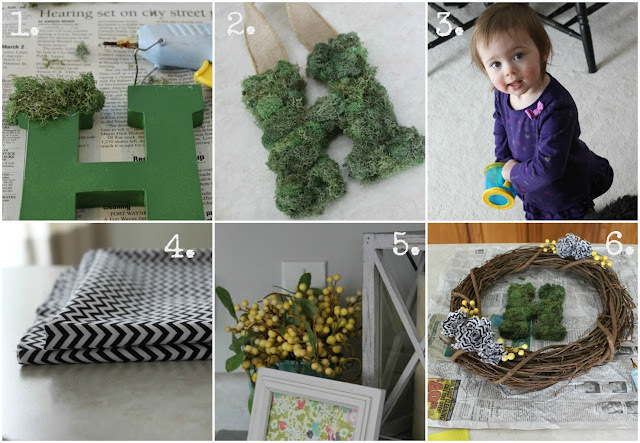 Jen, from Migonis Home, has been doing some adorable moss crafts too! Be sure to check them out! Way to go, Momma and way to go Little Lady! Good cooperation you two! Mommy and baby both got what they wanted – a lovely wreath and yummy goldfish!! 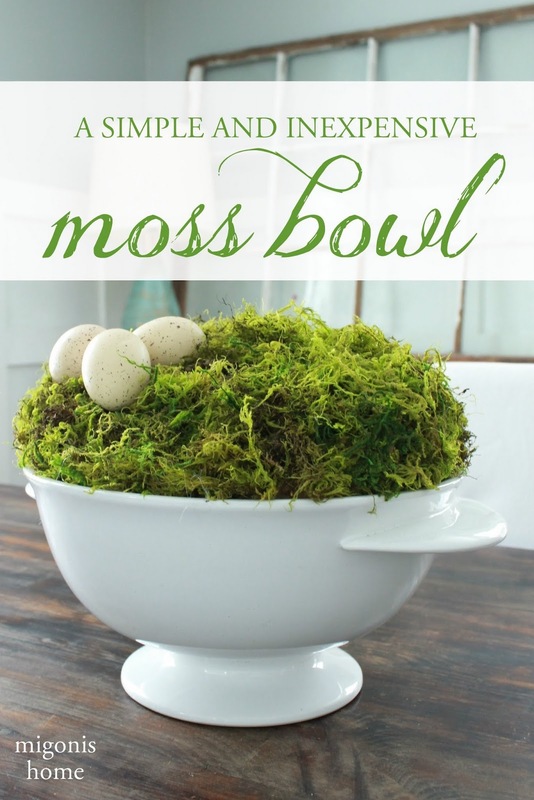 I love moss projects for spring!! 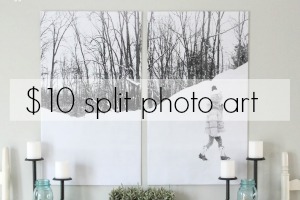 I’ve been busy brainstorming what I will do with it this year! I love your wreath! The chevron flowers and yellow sprigs give it a fun burst of color and pattern. Love it! Oooh, I think I need a mossy letter! 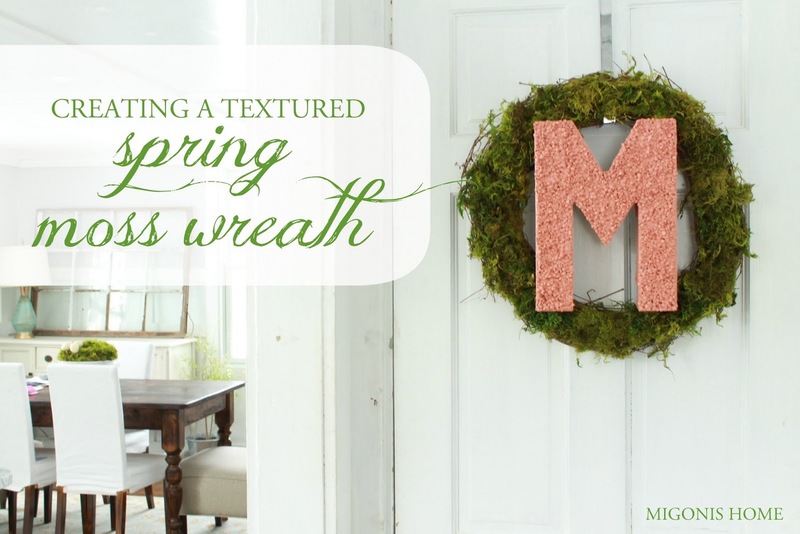 Great inspiration for a new spring wreath! Beautiful! I love everything about this wreath. I’m obsessed with monograms in all forms!